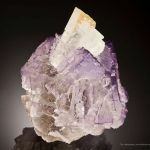 This aesthetic specimen is the only small example I have seen of this classic material that demonstrates good quality. 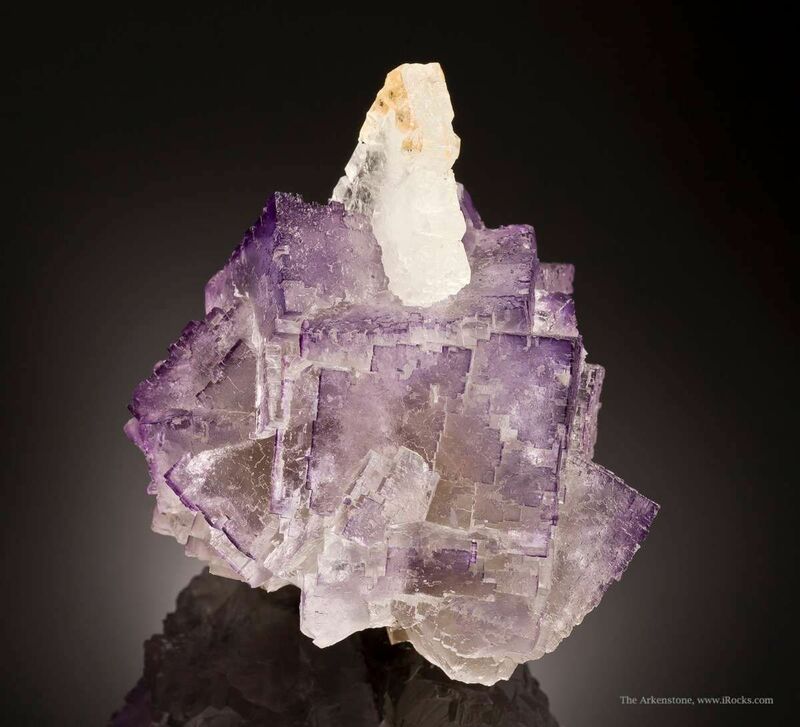 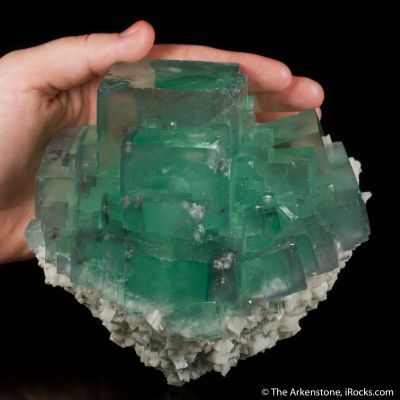 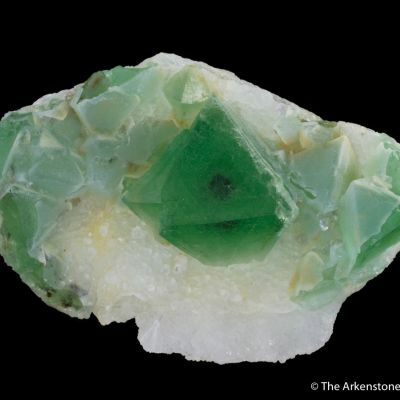 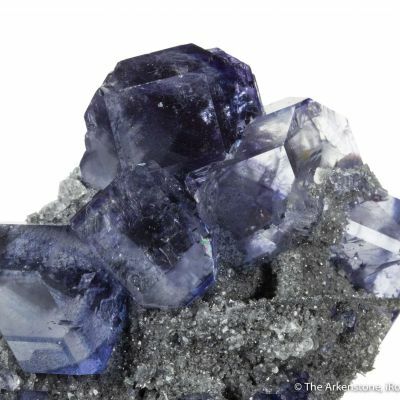 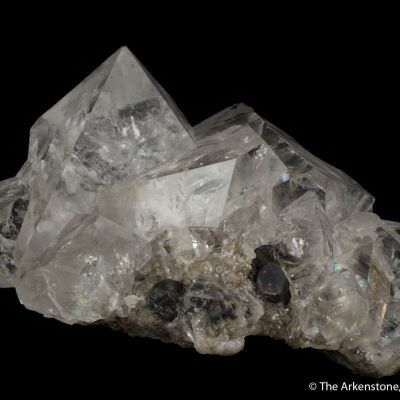 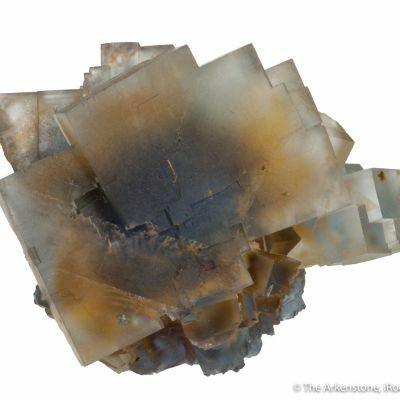 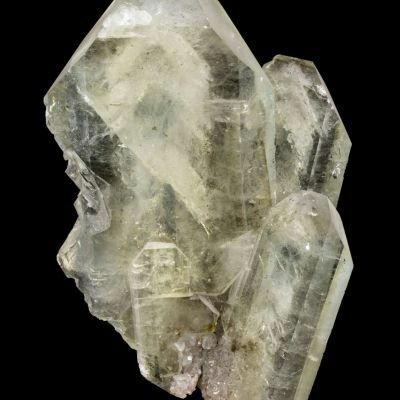 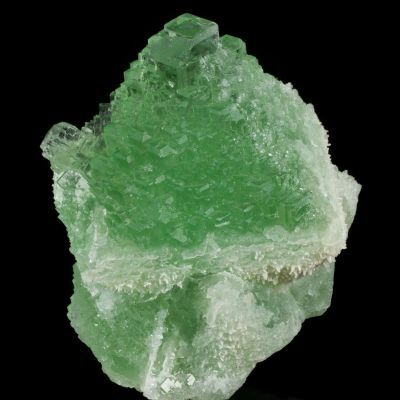 It is very different than the more common "spears" of fluorite on celestine. 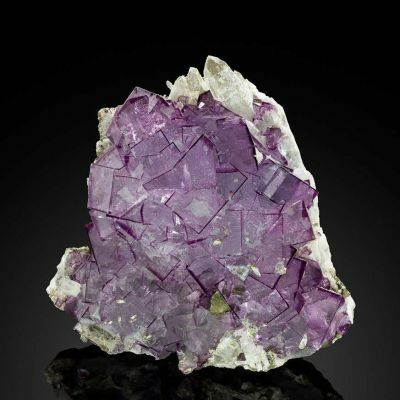 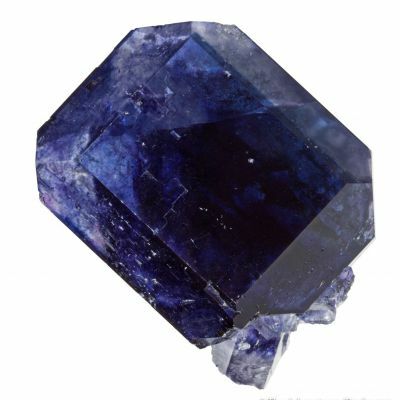 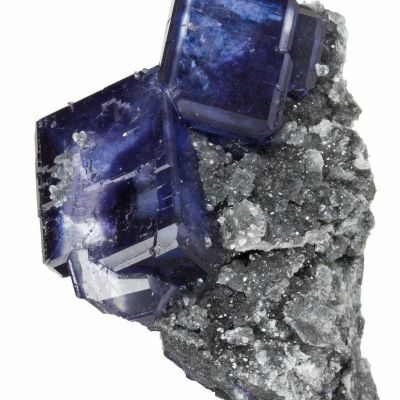 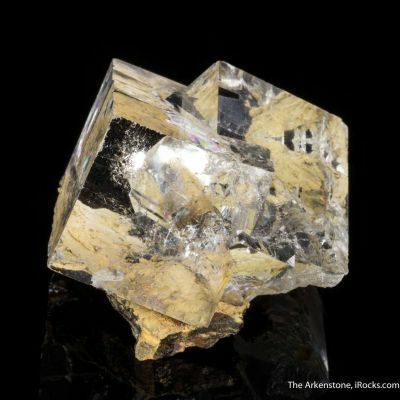 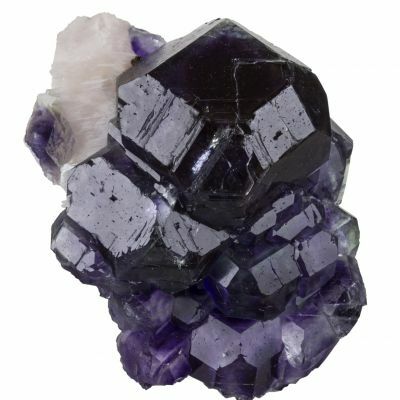 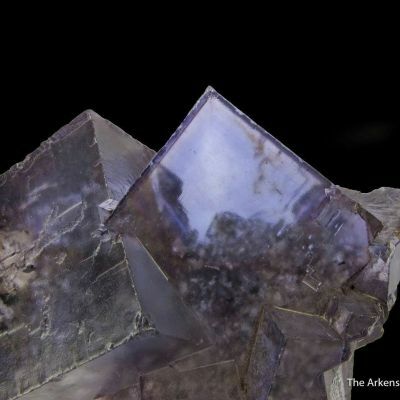 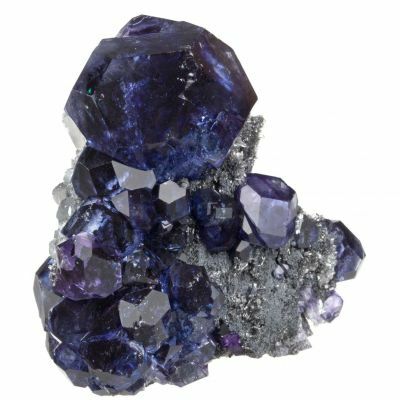 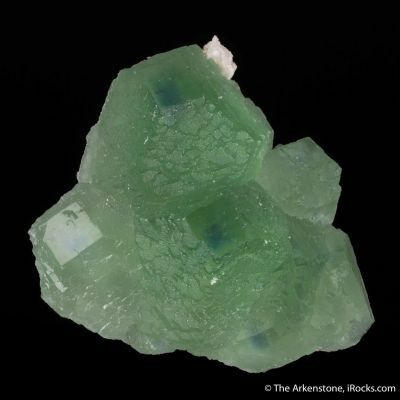 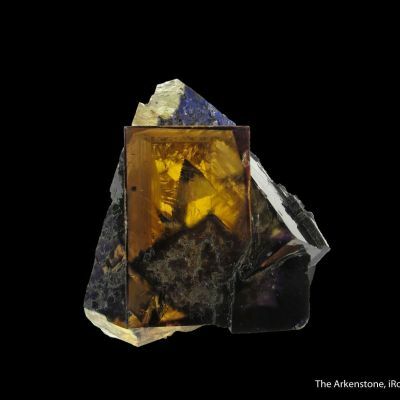 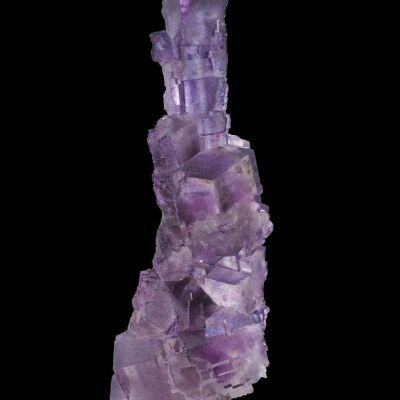 It features a 1 inch celestine crystal perched upon a knob of fluorite with the classic color and texture for this location. 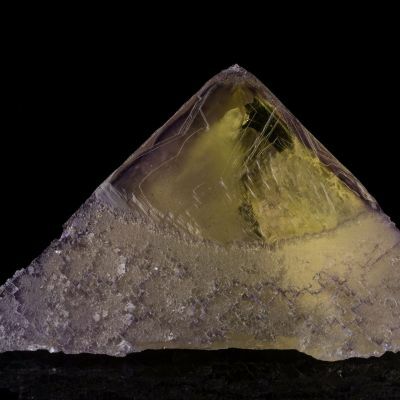 It is complete around, 360 degrees, and translucent throughout. 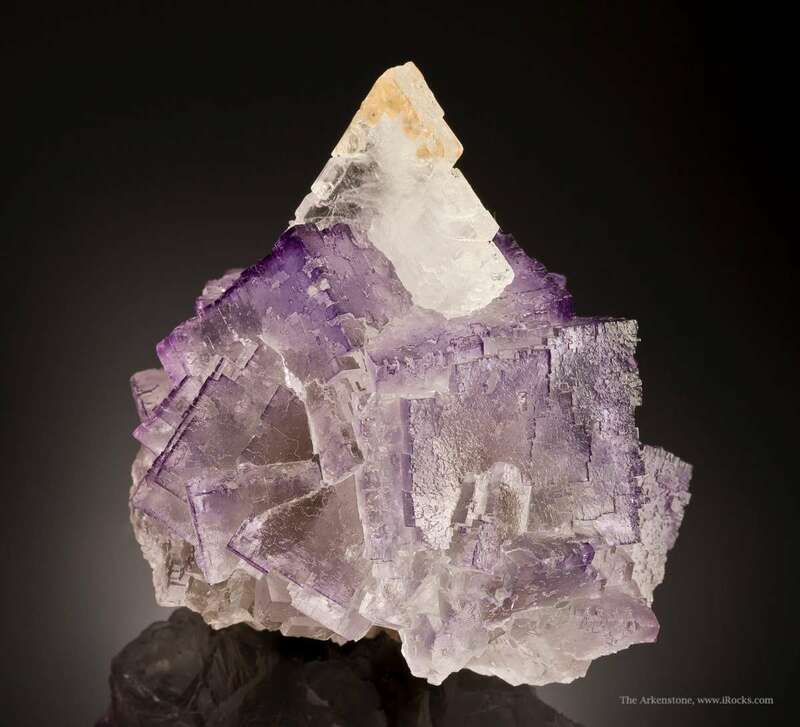 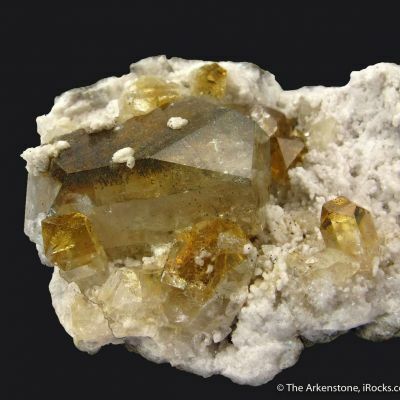 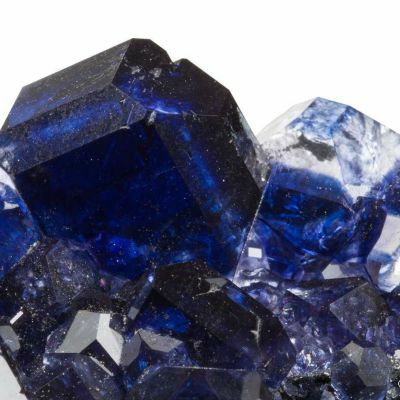 This is from the noted Mexican collection of Dr. Peter Megaw, who specializes in exploration of mineral resources in Mexico and travels there extensively. 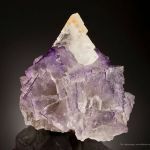 Joe Budd photos.